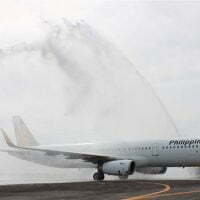 Four new destinations – Bacolod, Tagbilaran, Cagayan de Oro and Virac – have been added to the Philippine Airlines (PAL) route network this mid-December out of the airline’s hub at Clark International Airport in Pampanga. On December 15, PAL opens a four times weekly service to Bacolod and daily flights to Tagbilaran in Bohol. PR859 (Clark-Bacolod) leaves Clark International Airport at 7:00 a.m. every Monday, Wednesday, Friday and Sunday. PR860 (Bacolod-Clark) departs Bacolod at 8:45 a.m. This is good news for those of us who live up in the northland. The drive to Clark from my house in Bulacan takes less time than the drive to NAIA (sometimes, depending upon traffic a LOT less) and there’s ample, economical parking at the terminal. Yes it is. Now we have a flight straight from our place to Clark with no waiting in between and we don’t have to worry about the Manila traffic and crap.